More than 250 professionals and senior representatives attended the giving ceremony of the Third Edition of the SENDA Prizes, held last June 14th in Madrid, at the annual gala organized by the SENDA group. 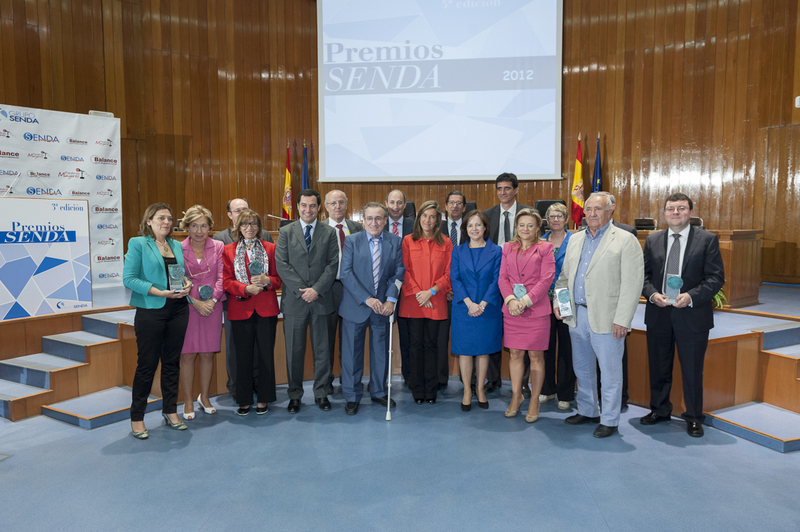 The Ministry of Health, Social Services and Equality, Ana Mato, chaired the giving ceremony of the Third Edition of the SENDA Prizes, held at the Ministry Venue in Madrid. More than 250 responsibles for the central and autonomical Administration, professionals of the dependence care sector and representatives of the associations and senior universities have attended the event presented by the journalist Teresa Viejo. The Ministry of Health, Social Services and Equality, Ana Mato, congratulated the winners and stressed the importance of those prizes in the European Year for Active Ageing and Solidarity between Generations. She said: "We must work to make sure to answer to seniors' future needs and to give them efficient and quality services".